New Iventi releases have been added to the request database, enjoy! VAM 20.12 KEN LASZLO – S.O.S. In 2009 I Venti d’Azzurro Records released Dancing Together of Ken Laszlo and the response was incredible. On Youtube the several videos of this song already have more than 250.000 views! 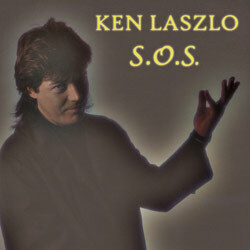 The new Ken Laszlo release S.O.S. will become another popular italo gem. Monster synths loaded by great melodies and the fantastic vocals of Ken Laszlo are the ingredients of this hit. On the B-side of this record you’ll find the blasting dub-mix. The class act Mention comes with the third release “Dreams” on Delivery Records. This might be the most beautiful Italo Disco song you’ve ever heard. Lovely vocals and sweet melodies make this record flow through your mind and keep you wanting more. Again the colorful cover art finishes of the perfect record. ID Limited Records brings you the best in rare and unreleased classic Italo Disco. This release contains another previously undiscovered and unreleased mega track: the female vocal version of Charley – I Can’t Love. With these vocals the track is a completely different, but positive experience. This is a Sensation! 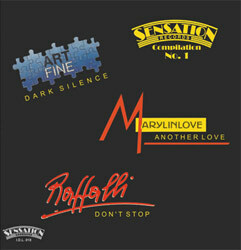 And Sensation Records happenned to be a label for many collectors favourites. On this compilation you’ll find many of them, like the energetic Art Fine track Dark Silence, the beautiful Marylin Love song Another Love, the authentic Rafalli – Don’t Stop…. well, all are great and impossible to find.